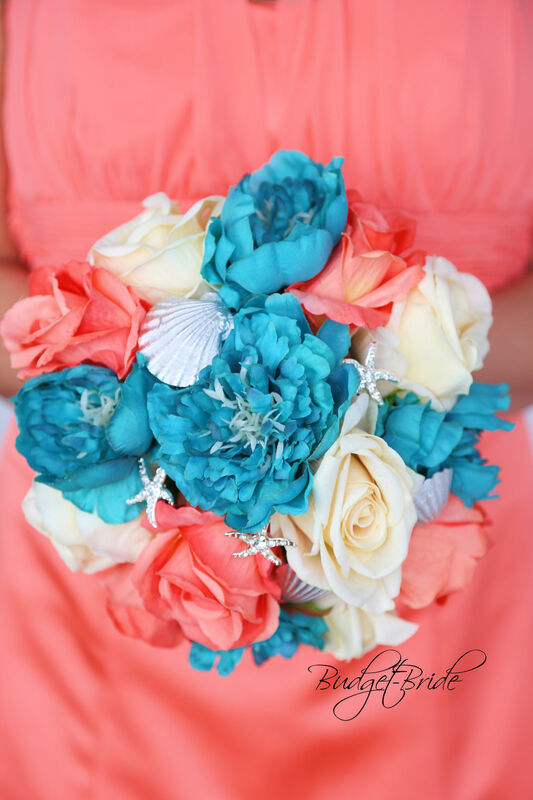 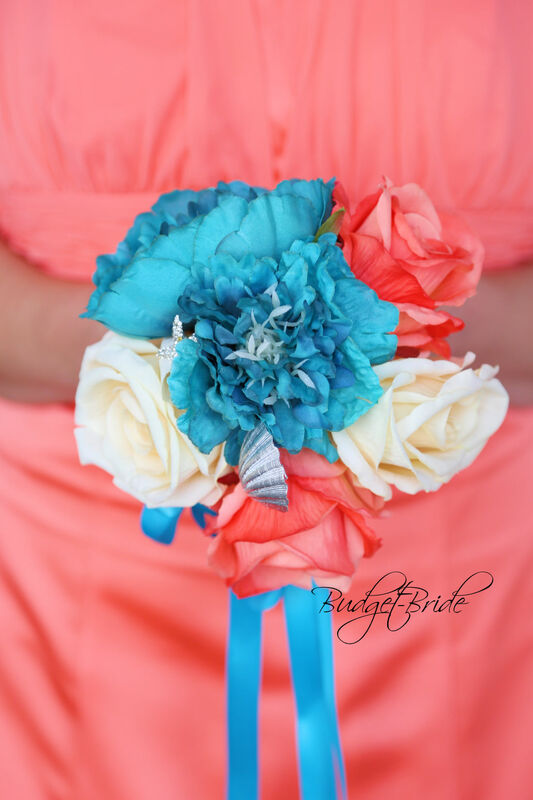 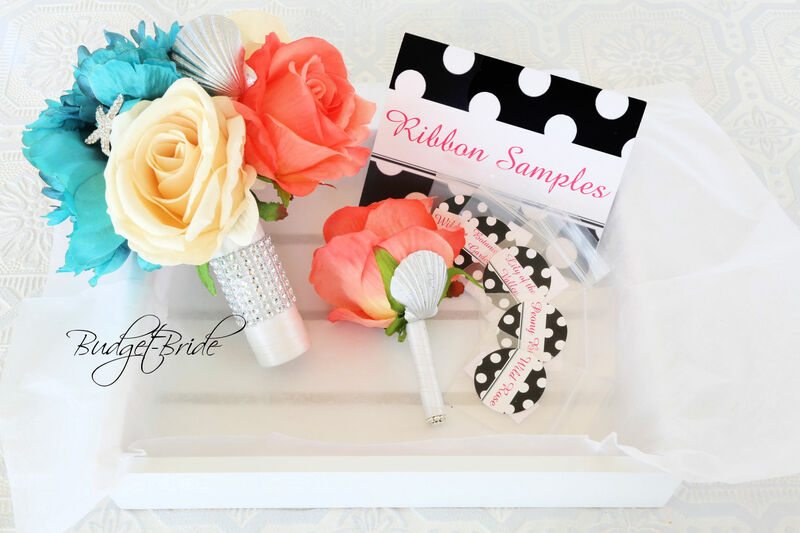 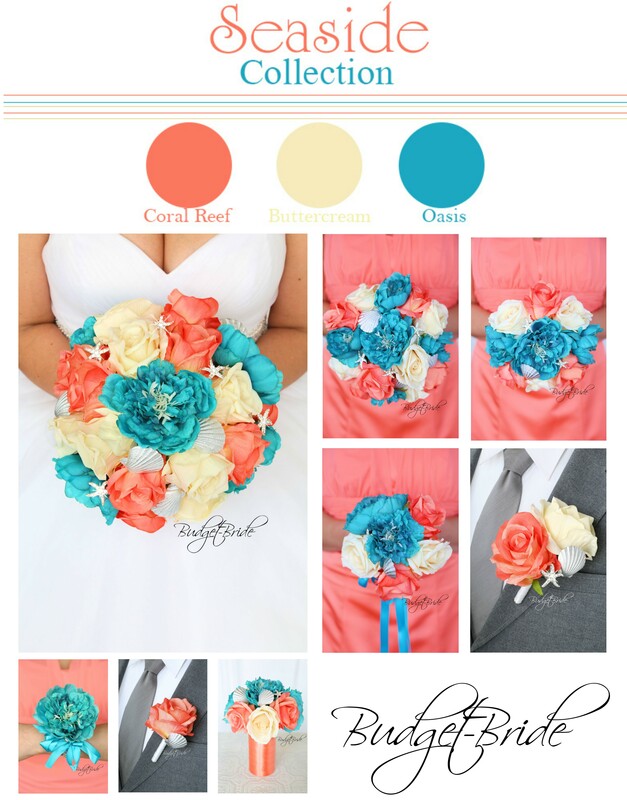 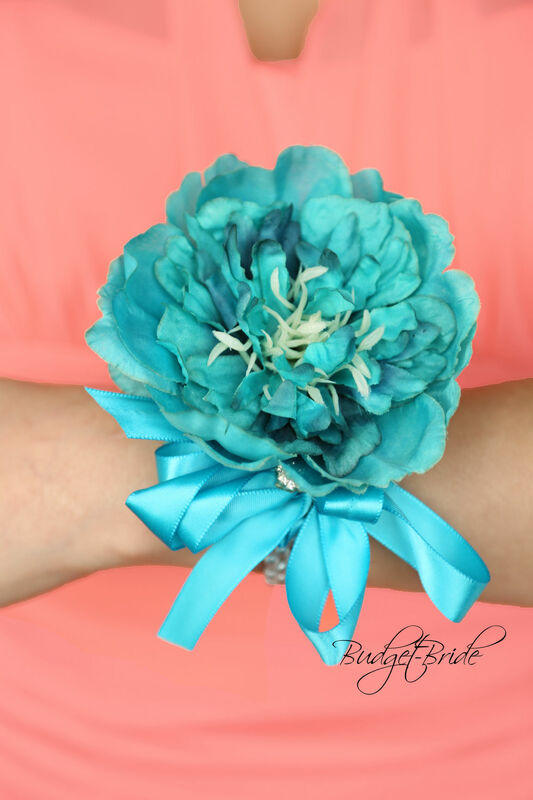 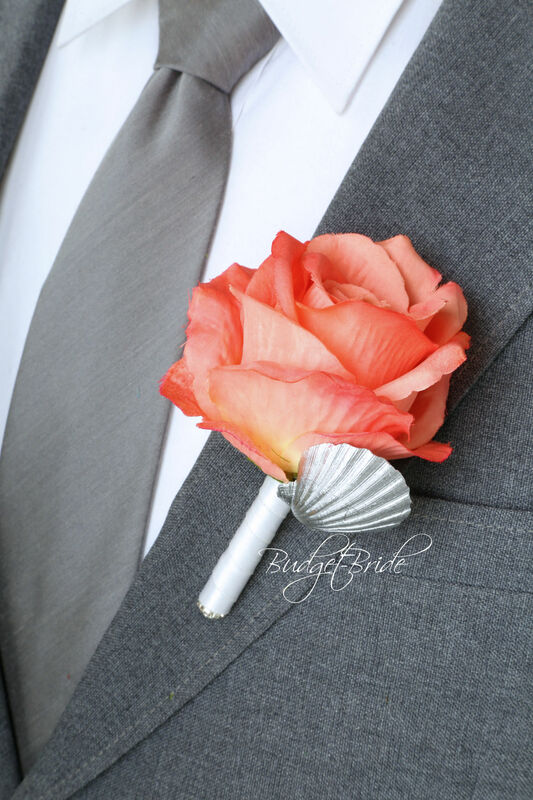 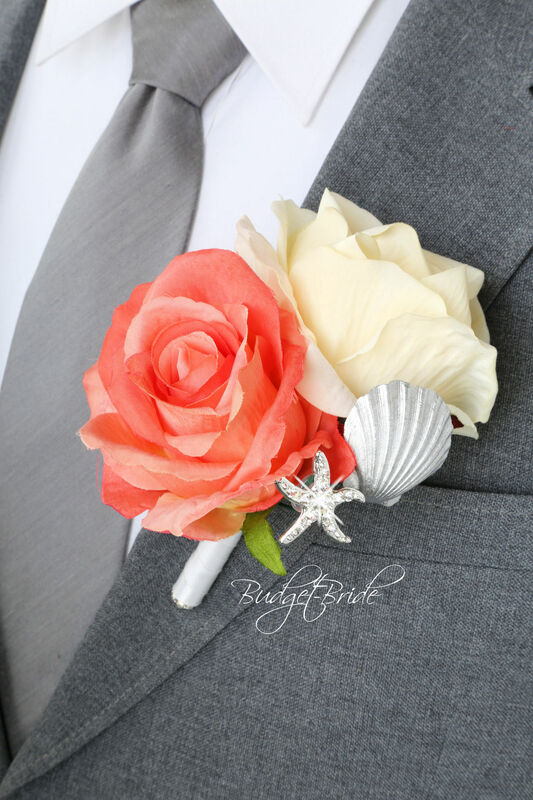 This matching bouquet is an 10 inch hand held bouquet with coral reef and dark ivory roses accented with Oasis peonies, silver seashells and silver jewel starfish. 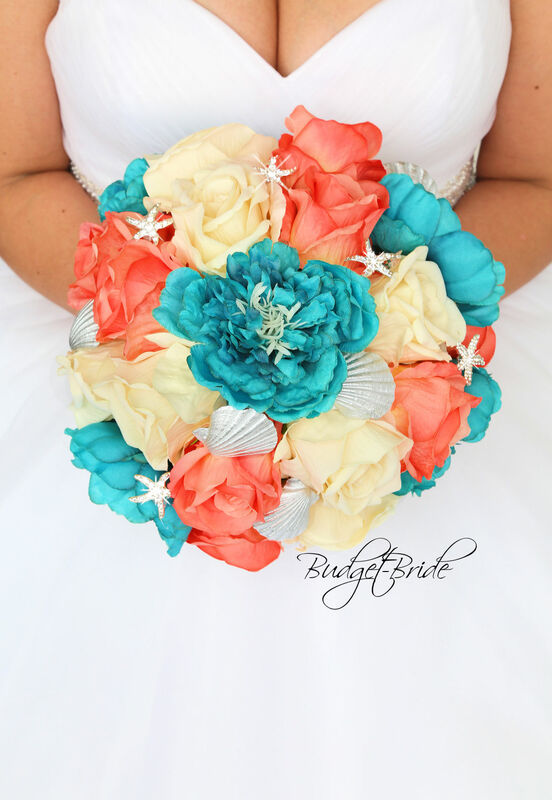 This matching bouquet is a 8 inch bouquet with coral reef and dark ivory roses accented with Oasis peonies, silver seashells and silver jewel starfish. 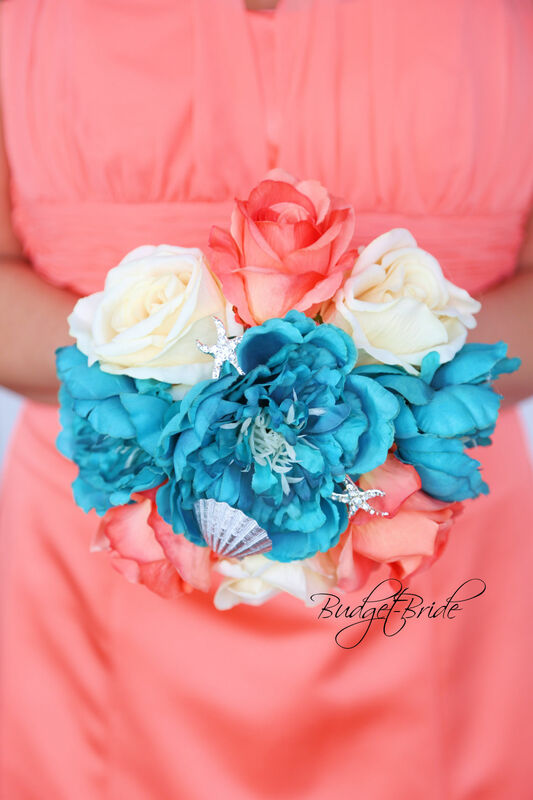 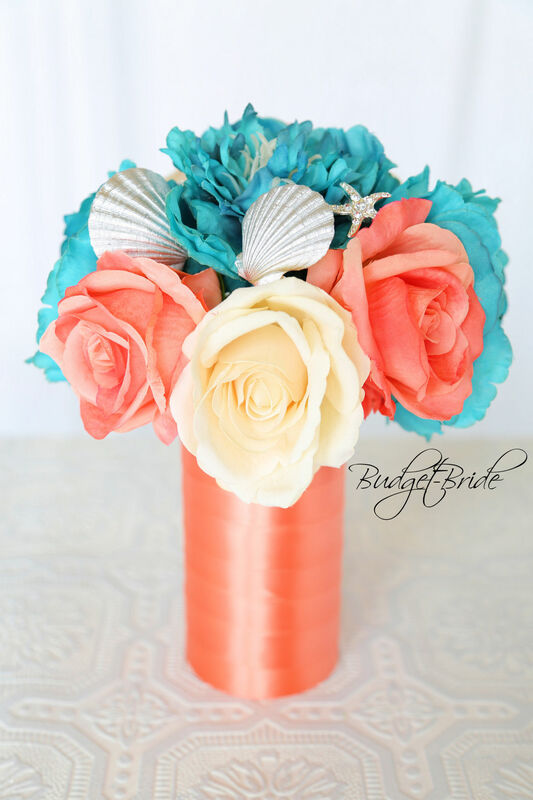 This matching bouquet is a 6 inch bouquet is made with coral reef and dark ivory roses accented with Oasis peonies, silver seashells and silver jewel starfish.